For roughly 25 years, the movement against abortion has been predominantly incrementalist. Its focus has been on restricting abortion in relatively modest ways rather than on amending the Constitution to prohibit it altogether. In the 1990s, the anti-abortion movement began to campaign to ban a method of abortion they called “partial-birth abortion.” More recently they have sought to ban abortions after 20 weeks of gestation. The theory behind this strategy is that changes to the law would reduce abortion rates, and debate over these changes would turn public opinion against abortion. Small victories today would enable bigger ones tomorrow. French wants more states to pass “heartbeat bills” that prohibit almost all abortions after a fetal heartbeat is detected and fight for those bills all the way to the Supreme Court. “It’s time to throw down the gauntlet, declare to the world (and to the Court) that the era of incrementalism is over, and show that the people are ready to embrace life,” he writes. Nearly everyone who is active in the movement agrees with French that its ultimate goal should be that, as the anti-abortion slogan has it, every child is “welcomed in life and protected in law,” which requires that Roe v. Wade and its successors be overturned completely. People who agree on that goal are divided, however, on how to get there. French is underestimating the practical advantages of gradual, step-by-step progress. It is true, as he suggests, that the Supreme Court can allow limited measures such as 20-week bans without dismantling its abortion jurisprudence. If it took up a heartbeat law, it would have to choose either to keep or scrap its precedents. A major anti-abortion objective would be in sight. But since heartbeat laws are flatly inconsistent with the precedents, the justices might not have to take them up in the first place: Lower courts could strike them down, and the justices could merely decline to hear appeals. Let’s say, though, that a case reached the high court. French’s argument presupposes that some justices are on the fence. If so, wouldn’t they be less likely to uphold a more far-reaching abortion restriction than to uphold a limited one? The upholding of a limited restriction would put future anti-abortion litigators in a stronger position to win more legal ground; the turning back of a more frontal challenge would put them in a worse one. Polling does not suggest that anti-abortion activists’ incrementalist approach has led to entrenched support for abortion in our culture. The movement’s turn toward incrementalism coincided with a substantial increase in the percentage of Americans who identified with it. In 1995, Gallup found that 56 percent of Americans favored abortion rights and only 33 percent considered themselves anti-abortion. Its latest finding was a much more even 49-45 plurality favoring abortion rights. There is some evidence that the recent attention to third-trimester abortion and to infants who survive abortions has shifted opinion toward the anti-abortion side as well. Even if the Supreme Court were to declare that the Constitution does not confer a right to abortion, and thus put legislatures in charge of setting abortion policy, there would continue to be a political logic to moving gradually. Anti-abortion activists would consider it morally obligatory to press for the maximum feasible legal protection for unborn children that could be sustained over time. But the risks of a backlash that set back that protection would be substantial, particularly in some states. At each time and place, the task of the anti-abortion movement will be twofold: putting into law those protections that command a consensus and working to change that consensus in the direction of more perfect justice. Each stage of this process of democratic persuasion will require difficult judgments of what is achievable. One oddity of French’s case against gradualism is that he doesn’t follow it to its logical conclusion, which is that the heartbeat bills don’t go far enough. Their sponsors almost certainly want to prohibit abortion from conception onward, even before a heartbeat is present. They have chosen to make the presence of a heartbeat the dividing line, one assumes, on the theory that it makes for more politically attractive legislation. They have embraced incrementalism; they’re just going for a very big increment. But their ability to reach the right political judgment is hampered by their incorrect sense that it is morally wrong to make one in the first place. People against abortion should feel a righteous impatience, but should not let it have the last word. 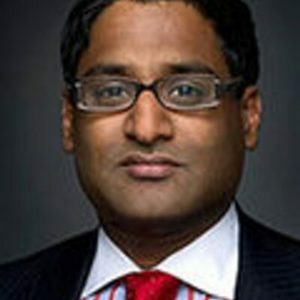 Ponnuru, a Bloomberg Opinion columnist, is a senior editor at National Review, visiting fellow at the American Enterprise Institute.